Abbi Scarlet: Review: Too Faced Chocolate Bar Palette - is it worth the hype?! 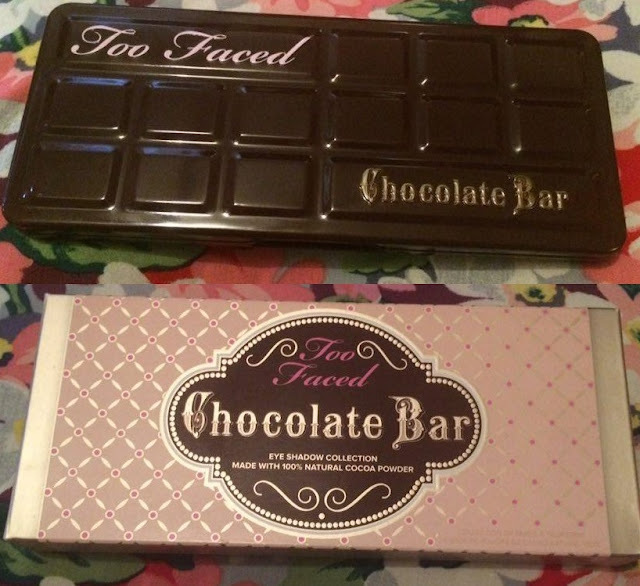 Review: Too Faced Chocolate Bar Palette - is it worth the hype?! Too Faced make some amazing products which are pretty famous online. One of their most hyped is their Chocolate Bar Eyeshadow Palette. The version of the palette that I'm reviewing is the most updated 'model'. Some of the upgrades that it's had since it's inception is the shade names being printed on to the palette as opposed to being printed on a piece of acetate that was protecting the shadows - and the palette is much less bulky. Upon opening the palette, the scent of chocolate hits you due to the formula including cocoa powder. Although this doesn't necessarily effect the quality of the actual eyeshadows, it's a really pleasant scent. The palette shuts with a magnetic closure so it feels nice and sturdy. I use this palette for everyday and evening. It quickly becomes a go-to item because of the amount of wearable shades and their amazing formula. They stay on for hours even without priming the lids so this makeup item is a definite staple due to that reason. Here is the inside of the palette in its entirety. It's a nice size without being too large - there's plenty of lovely shades in there. The names of the colours are also cute.. which again, doesn't affect the effectiveness of the makeup but I do love me some cute eyeshadow names! 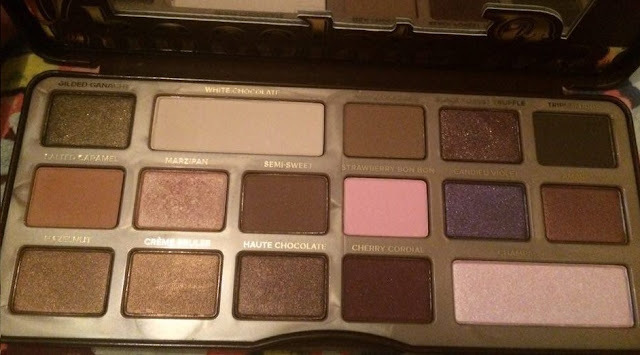 People have described this one to be more of a 'night' palette and the Semi-Sweet Chocolate Bar Palette to be a 'day' palette but I haven't found this to be the case. 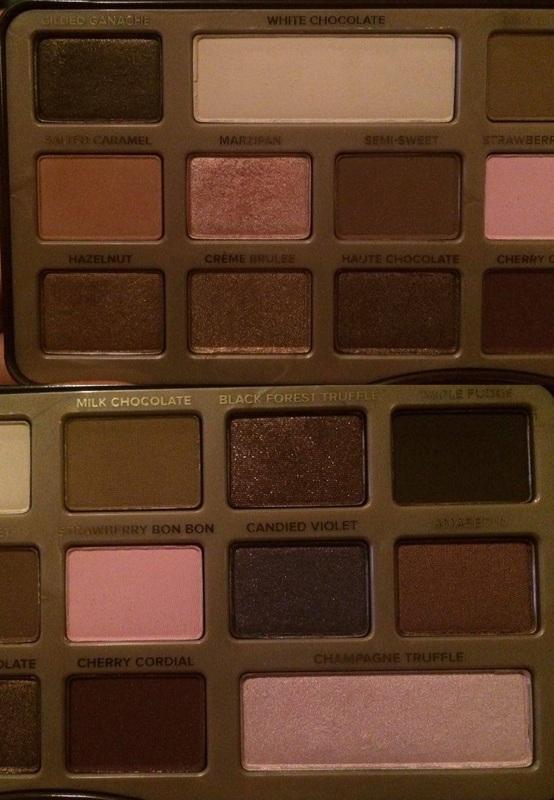 Granted, I do not own the other one but I find that the colours in the original palette are wearable for day or night. I love how they have included large pans of the highlight shades. It makes so much sense as these are worn on the brow bone with pretty much every look. My favourite shade is Marzipan. I also love Milk Chocolate. I thought that I was going to love Strawberry Bon Bon which is a bright baby pink but I haven't found it to be as pigmented as the others which is slightly disappointing. Nevertheless, I would recommend investing in this beautiful palette. It's an all round great product and I haven't regretted purchasing this at all!